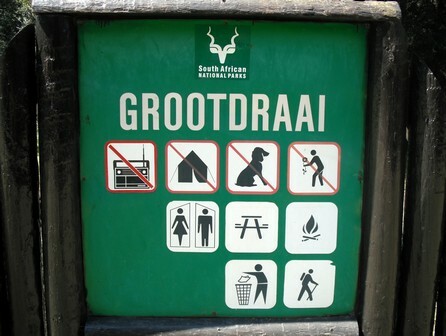 Grootdraai ("Big Turn") picnic site site is situated just there, right on a big turn on the Kom-se-pad loop from Gouna forest towards Diepwalle. The Kom-se-pad loop is a great drive to take to see the forest and then this would be an ideal place to stop. From Knysna this is about a 50km round trip and is also a favorite amongst local mountain bikers. 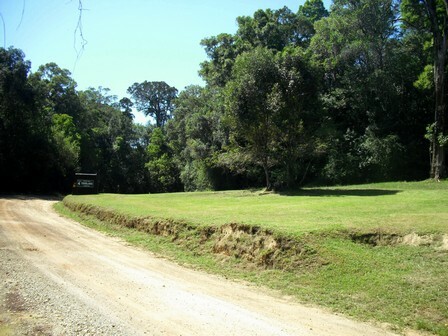 Most of the route follows gravel roads but are normally well maintained, the Kom-se-pad section is narrower and more undulating but still possible with most sedans. The Terblans Hiking Trail also starts from here, a 6.5km circular route through the forest. No cost. 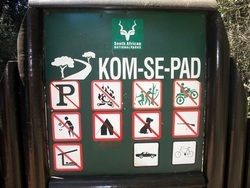 Self issue permit if you intend to do the Terblans Hiking Trail. Head out of Knysna towards George, along the lagoon take the Old Cape Road turnoff to Gouna / Simola, follow this road past Simola. As the road becomes gravel take the Gouna turnoff to the left. 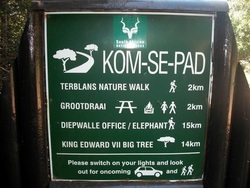 Follow this road past the Gouna Forest Station to the Grootdraai Picnic site along Kom-se-pad. 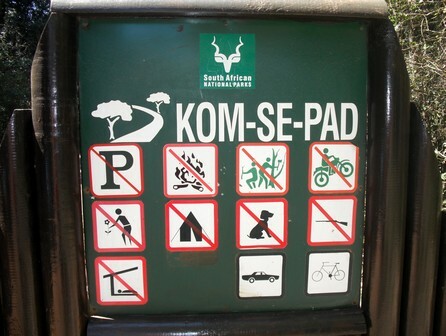 This picnic site can also be reached by taking the Kom-se-Pad turnof from the R339 near Diepwalle. 19KB. 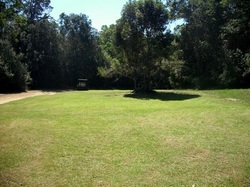 Only Garmin GPS units supported, need MapSource or Trip & Waypoint Manager to open.